We managed to spend quality time with the freshly announced Huawei P8 lite for the US market. The smartphone is already available to order in the United States directly from Huawei’s online store. 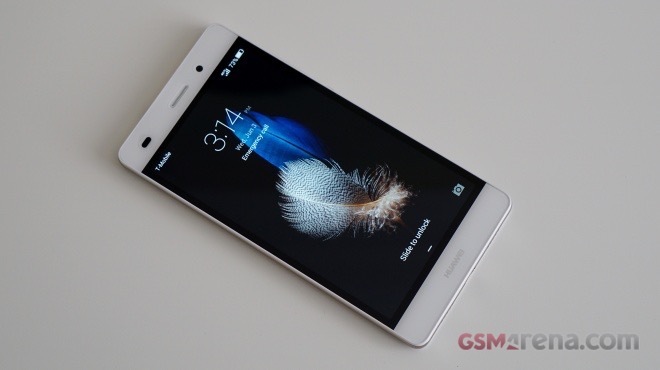 Huawei P8 lite features the same design language as the company’s P8 flagship. However, the newcomer swaps the metal outfit of its more capable sibling for a plastic one. The P8 is easily one of the best looking devices in its price range. Available in two color schemes (black/gray and white/gold), the handset features the same sleek lines as its more expensive relatives in Huawei’s smartphone range. Build quality is solid too. The plastic on the back of the device has a nice hairline pattern that protects it from scratches, while the display is covered by Corning Gorilla Glass. Specs-wise, Huawei P8 lite packs Qualcomm Snapdragon 615 chipset with 1.5GHz octa-core CPU, 2GB of RAM, and 16GB of expandable storage. The display is a 5” 720p IPS unit with 294 ppi. A 13MP main camera with 1080p video recording and 5MP front-facing snapper are also on board. The device is 7.7mm thin and packs a 2,200mAh non-removable battery. Its connectivity options in the P8 lite include LTE, Bluetooth 4.0, microUSB 2.0, and Wi-Fi b/g/n. We were puzzled to find out that Huawei P8 lite boots Android 4.4.4 out of the box, especially considering the fact that the global version of the device runs Lollipop. The Emotion UI version is also older compared to the one in the Kirin-powered P8 lite (3.0 as opposed to 3.1). Huawei is asking $249.99 for an unlocked P8 lite in the United States. However, if you pick one up from the company’s online store in the next 72 hours, the P8 lite will cost you only $199.99. In addition to the promotional pricing, Huawei will give you a free Bluetooth speaker, protective case, and $50 pre-paid service voucher, thus making the smartphone one of the best unlocked bargains around.